The Minister of Home Affairs briefed the Committee on the outstanding concerns surrounding the Border Management Authority Bill which had been raised at a previous meeting. He described the three underlying principles on which the Cabinet had based the functioning of the BMA. These were that the BMA should be responsible and accountable for the entire border environment, its role should be to ensure its coordination, collaboration, oversight, control and management, and the proper management of BMA would be achieved through an integrated and cooperative system. From the outset, the view of the Cabinet had been that the BMA would be an integrated entity which would take control of the entire management of the borders. This conclusion had been reached simply because all entities that were currently managing the borders were regulated by different legislation, establishing different mandates. As a result, mandates and visions were fragmented, resulting in management being fragmented. What had been problematic was the absence of a single entity among equals which could play the role of integrating the fragmented mandates. There had been a good progress on the outstanding issues. The Department of Home Affairs (DHA) had engaged with the Congress of South African Trade Unions (COSATU), the SA Police Service (SAPS) and the National Treasury. All COSATU concerns had been addressed, while cooperation between the SAPS and the SA Revenue Service (SARS) had been outlined in a memorandum of understanding (MoU). The Cabinet was of the view that the functions of the customs should be the responsibility of the BMA, but there was no intention by the DHA to take over the revenue collection. The revenue collected by the BMA would be sent to SARS. With regards to the police, it had been agreed that the managing of the border environment and ports of entry would be the responsibility of the BMA. Should criminal activity take place in the border environment, the BMA should collaborate with the police. The Cabinet felt that these approaches should be the basis of moving forward. COSATU said various concerns had been raised with regard to the first draft of the BMA Bill, but these had been resolved through engagement with the DHA. Among concerns had been the blanket ban on the right to strike and picket, the protection of disclosures and the introduction of privatisation and outsourcing at customs. It supported the approach of having the BMA as a single government organ. COSATU was concerned with illegal migration, which had severe impact on employment opportunities, and believed that the BMA would provide a solution to migration challenges. The Committee Content Advisor said that the Committee had received ten submissions, which proposed amendments to the preamble and definitions, as well as a number of clauses. Members would have to understand the issues raised in the submissions, in particular the reasons why an amendment was necessary or not. Members expressed their satisfaction with the material progress made in resolving differences among the concerned departments and entities. Some expressed their concern about the right to strike, stating that the right could not outweigh the interests of the nation. Clarity was sought on issues such as the transfer of workers to BMA, the disagreement between the DHA and the National Economic Development and Labour Council (NEDLAC), when all the outstanding concerns would be addressed, on the vetting process and the role of the Department of State Security, on the capacity of the BMA to enforce the law along the maritime borders, and whether neighbouring countries had been engaged. The Chairperson started by welcoming members of the Portfolio Committee and delegations, and said that Members from other Portfolio Committees had been invited to join them, as their inputs on the Bill were essential. The Congress of South African Trade Unions (COSATU), along with the National Education, Health and Allied Workers Union (NEHAWU) would also be briefing the Committee on their views on the Bill, and the Content Advisor to the Committee would take the Committee through a summarised brief of submissions made by interested parties. He reminded Members that there were outstanding concerns that had been raised by the South African Police Service (SAPS) and the National Treasury with regard to the mandates of SAPS and the South African Revenue Service (SARS). He hoped that these issues had been resolved, given that there had been a cabinet meeting at which these matters had been discussed. the proper management of BMA would be achieved through an integrated and cooperative system. From the outset, the view of the Cabinet had been that the BMA would be an integrated agency which would take control of the entire management of the borders. The case study had illustrated that the challenges of border management control stemmed from fragmentation. All the entities that were managing borders were regulated by different legislation, establishing different mandates. As a result, mandates and visions were fragmented, resulting in management being fragmented. There was no single agency among equals which could play the role of integrating the fragmented mandates. It had therefore been agreed that all other departments and entities would have to cede their responsibilities to the BMA. Issues that had been discussed included the constitutional mandate of the Defence Force to secure the integrity of South Africa. The constitutional mandate remained with the Defence Force. Monitoring the borderline became the responsibility of the BMA. With regards to functions of the customs, the Cabinet were of the view that the functions of the customs should be responsibility of the BMA. Some concerns had been raised by some colleagues in the National Treasury on the question of splitting the mandate of SARS. The mandate of SARS was established by the cabinet, and could be reviewed by it. There was no intention of the DHA to take over the revenue correction. The revenue that would be collected by the BMA would be sent to SARS. With regard to the police, it was agreed that the managing of the border environment and the ports of entry were the responsibility of the BMA. Should there be a criminal activity take place in the border environment, the BMA should collaborate with the police. The Cabinet felt that these approaches should be the basis of moving forward. There had been a meeting with the police, National Treasury, Business Unity South Africa (BUSA), COSATU and NEHAWU, at which five issues had been identified and settled. As a result, it had been agreed by the Cabinet that staff of SARS be seconded to the DHA. A memorandum of understanding (MoU) had been signed with SARS. The views that were presented by the Minister were the Cabinet’s, and no minister, department or entity could deviate from them. The bill had been sent to the National Economic Development and Labour Council (NEDLAC) and had been approved by it. The bill had been submitted to the Committee for consideration. The Cabinet had approved that the memorandum of understanding (MoU) between the DHA and SARS should first be signed before the submission of the bill to the Committee. There had also been consultation between the Directors General of Home Affairs and Police, and their engagement had resulted in a joint MoU. In the DHA’s discussion with other stakeholders, all outstanding issues had been resolved. There had been only three outstanding issues, which could be resolved within one week from the date of briefing the Committee. These related to the question of establishing the BMA as a public entity. In this context, issues had been raised on whether BMA should be created as an essential service in terms of the Basic Conditions of Employment Act of 2002, and with regard to security vetting. Only the commissioned services would be regarded as essential services. On the security vetting, the Cabinet had noted that the security vetting presented a challenge to the Department of the State Security, and that the BMA should step in to resolve the issue. It had been contended by COSATU that the BMA should be established as an authority, and not as an agency. Issues that remained unresolved included security vetting, routine searching and revenue collection. The Chairperson commented that the Minister’s opening remarks showed that even though there had been some progress, there were still some outstanding concerns. He urged the Minister to resolve those issues as soon as possible, so that the Committee could proceed to discuss the Bill. The Minister should advise the Committee how those issues would be resolved. Mr Gigaba responded that the concerns remained unresolved, but would be finalised within a week. This was necessary to ensure that the Committee’s work was not compromised. Ms T Kenye (ANC) asked whether the disagreement between the DHA and NEDLAC had been resolved. Mr A Figlan (DA) sought clarity on the BMA’s operations – in particular whether the DHA would recruit a new workforce or whether the employees would simply be transferred to the BMA. He sought confirmation that the Minister believed that all concerns would be resolved within a week. Mr M Hoosen (DA) asked about the transfer of staff from SARS to the DHA, and whether the staff had already been transferred. If so, were they reporting to the BMA? With regard to the functioning of customs, what were the current workforce not doing well that would be improved by the BMA? Adv C Schmidt (DA) sought clarity on why the MoU had been signed that morning, and about the outstanding issues. Mr J Skosana (ANC) asked about the vetting process and the role of the Department of State Security in that regard. Mr D Gumede (ANC) referred to section 1(1)(b) of the Border Management Authority Bill, and sought clarity on the capacity of the BMA to enforce the law along the maritime borders. 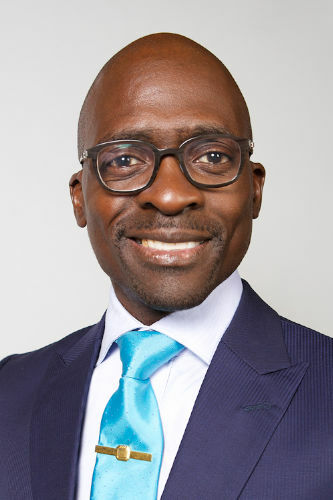 Mr Gigaba responded that the issue with NEDLAC had been resolved, and the onus was on the Committee to ensure a proper decision was taken, to put matter to rest. The BMA had, at the time of briefing the Committee, no staff. The DHA had staff who had been seconded from SARS. When the bill was signed into law, some SARS staff would be transferred to the BMA. He reiterated that he was confident that the outstanding concerns raised by the National Treasury would be resolved within seven days, to ensure that the DHA had the correct BMA framework. Even though the MoU had been signed that morning, it had not been signed in haste, because there had been enough time to engage with the SAPS. Referring to SARS and SAPS, he stressed that Members should note that the government worked as a collective, and ultimately departments and entities should collaborate to ensure that the new agency or entity was properly functioning. Those who would be transferred to the BMA ought to have the requisite experience and management. On the issue of customs, he said that the Cabinet’s concern was not about who would control customs better, but at issue was the integration of management. Of course, the SARS and the SAPS would be there in the border environment. Their equipment, skills and expertise would be needed. It was important to note that the BMA would not recruit new employees, but would rather rely on the current workforce from different entities. In particular, the police officers could enter into the border environment and execute their functions of search and arrest, and the BMA could arrest a person and hand that person over to the police. On the question of security vetting, he said that security vetting remained an information gathering function, which was part of the mandate of State Security. Regarding the monitoring of maritime borders, the BMA would collaborate with the South African Navy. The DHA would ensure that the BMA staff had received training in the maritime field for better co-operation. There was a technical committee of Directors General of the departments involved, to consider all these matters. Ms O Hlophe (EFF) asked on whether neighbouring countries had been engaged. Mr Gigaba responded that securing border lines was a sovereign matter, and SA did not need to consult with neigbouring countries to secure them. However, because of the new measures to be introduced, neighbouring countries would be informed. The Chairperson said that the engagement with Minister Gigaba had cleared many uncertainties. Mr Mkuseli Apleni, Director General: DHA, said that there would be concurrent functions between SARS and BMA. The remaining issue was to define these functions. The SAPS said that there was an MoU which had been signed by the SAPS and DHA and it was in agreement with it. Mr Ismail Momoniat, Deputy Director General: Tax Policy and Financial Sector Regulation, National Treasury, said that the National Treasury was still engaging with the DHA on outstanding issues, and that consensus would be reached soon. Mr Mathew Parks: Parliamentary Coordinator: COSATU, said there had been various concerns raised with regard to the first draft of the BMA bill, and that these concerns had been resolved through engagement with the DHA. Among concerns had been the blanket ban on the right to strike and picket, protection of disclosures, and the introduction of privatisation and outsourcing at customs. From the beginning, COSATU had supported NEDLAC’s position and the bilateral engagements concluded by the DHA. It also supported the approach of having the BMA as a single government organ. COSATU was concerned with the illegal immigration which was having a severe impact on employment opportunities. The Chairperson urged the COSATU to continue to engage with the DHA, to ensure that employment opportunities were secured. Mr Adam Salmon, the Committee’s Content Advisor, said that the Committee had received ten submissions. They had been from SAPS, the Scalabrini Centre, Business Unity South Africa (BUSA), Transnet, the Department of Justice and Constitutional Development (DoJCD), the Tourism Business Council of South Africa (TBCSA), the Durban Chamber of Commerce, Katleho Mogase, Kimberley Resources, and Fruit South Africa (FSA). The submissions had proposed amendments on the preamble and definitions. Amendments had been further proposed on clauses 2(3)(b), 3, 5(c), 7(1)(e), 7(1)(g)(i)-(ii), 8(1), 8(5), 9, 10(5), 11, 12(1), 13(4), 15(3)-(4), 16, 17(1), 18, 19, 20, 21(g), 21(j), 22, 25, 26, 27, 28, 30, 31,36, and 37 (see attachment). The Chairperson remarked that Members should understand the issues raised in the submissions, in particular the reasons why an amendment was necessary or not. He asked Members to seek clarity from the COSATU presentation. Members would have opportunity to engage with the DHA in the following week. Ms Hlope said that Mr Parks had been apologetic when he had referred to Minister Gigaba as “comrade” in his presentation, and asked why he had been so apologetic. She sought clarity on whether there were issues that remained unresolved. Mr Hoosen asked how the DHA had arrived at a figure of 10 000 staff for the BMA. What was the difference between establishing the BMA as an agency and as an authority? Mr Skosana supported the workers’ right to strike and picketing, and urged COSATU to engage with the DHA in order to understand each other on this issue. Mr Raphuti said that the issues raised by COSATU were valid. She wanted to know to whom an employee of the BMA would be reporting, because there were so many entities involved -- like SARS, SAPS, DHA, National Treasury, Defence, etc. Finally, she stressed that everyone who was salaried was a worker, and could not be deprived of the right to strike. Adv L Mpumlwana (ANC) said that he respected the right to strike, but workers should respect the security of the nation. Could members imagine the situation the country would be in if the BMA workers were striking? He said that the right of workers to strike could not outweigh the interests of nation. Mr Hoosen asked about the three scenarios that had been presented in the previous meeting by the SAPS with regard to the BMA. Which scenarios would be followed in the MoU? The Chairperson asked whether there was legislation or specific sections that should be repealed for the BMA Bill to be effective. Mr Parks responded that the COSATU agreed with the state having a single coordinated body. COSATU supported the principle that a person could be arrested and searched by the SAPS or the BMA in the border environment. He said he had not been apologetic when he had called Mr Gigaba a comrade, because he was one, and such status could not be equated to being apologetic. He also said that the 10 000 staff was a mere estimation. On the issue of protests, COSATU had disagreed with the initial BMA Bill because it had been designed on the basis of a blanket ban on strikes. In its engagement with the DHA, an agreement had been reached that some employees could go to strike, but those providing minimum services could not go to strike. The SAPS approach applied in these circumstances. On the question of whistle-blowing, whistle-blowers were protected by a number of pieces of legislation. The SAPS said that it had taken a step back. However, matters involving arrest, search and seizure, remained the functions of the SAPS. The SAPS would remain available in the border environment as a part of executing its constitutional mandate. 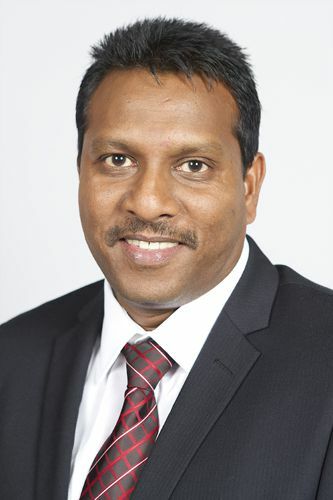 The three options that had been presented in the previous meeting described the manner in which the SAPS could assist in the implementation of the BMA Bill. However, the scenarios had not been limited to those three mentioned in the previous presentation. The SAPS had rather taken a broad approach to working with the DHA. The Chairperson said that South Africans were concerned with border security. Having porous borders brought a lot of security problems which had a severe impact on constitutional rights. There should be a balancing act by role players to ensure the maintenance of security and the integrity of South Africa’s borders.